elliven studio: Dash & Albert Herringbone Rug - Family Room Progress Update! 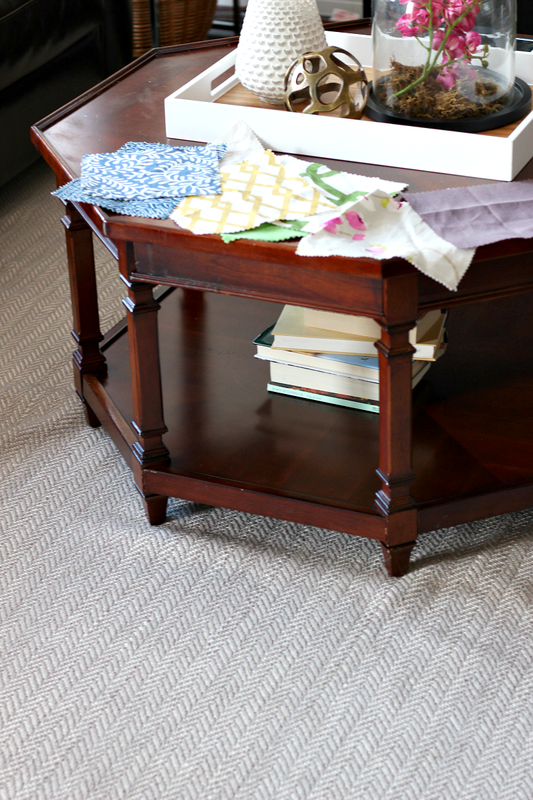 Dash & Albert Herringbone Rug - Family Room Progress Update! Giddy up! Things are finally happening in the family room! I'm not a quick decision maker and that's putting it nicely. It takes me forever to make a decision. 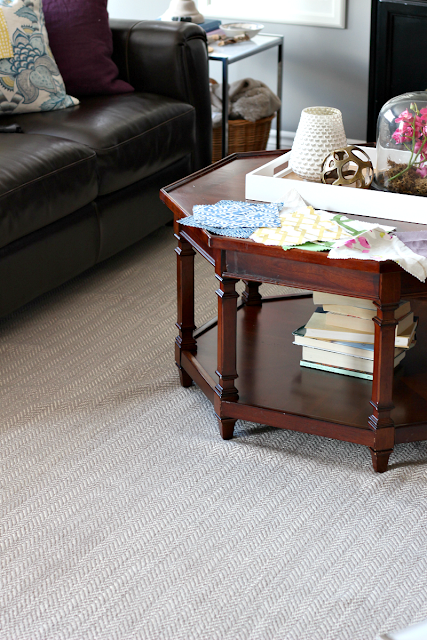 So when I finally decided to order this stunning Dash and Albert Herringbone rug from Wayfair.ca, I was over the moon excited that search was finally over! 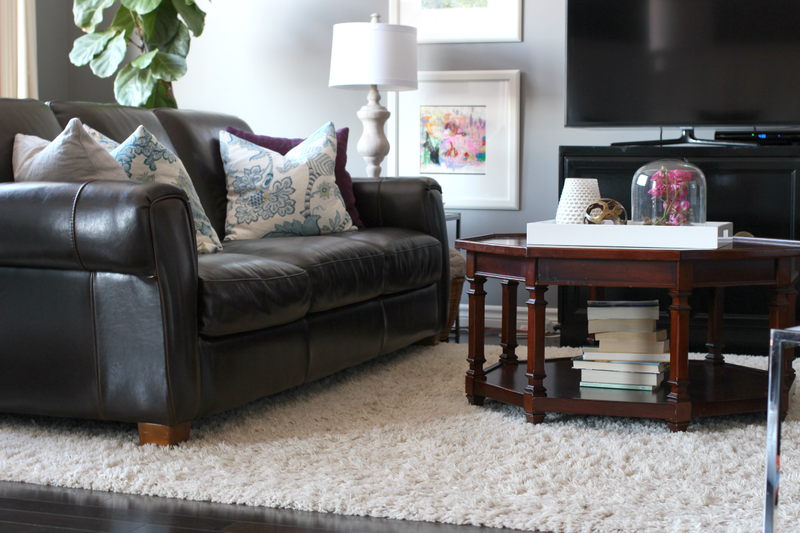 The rug is much different than the one we had before and I'm loving it! 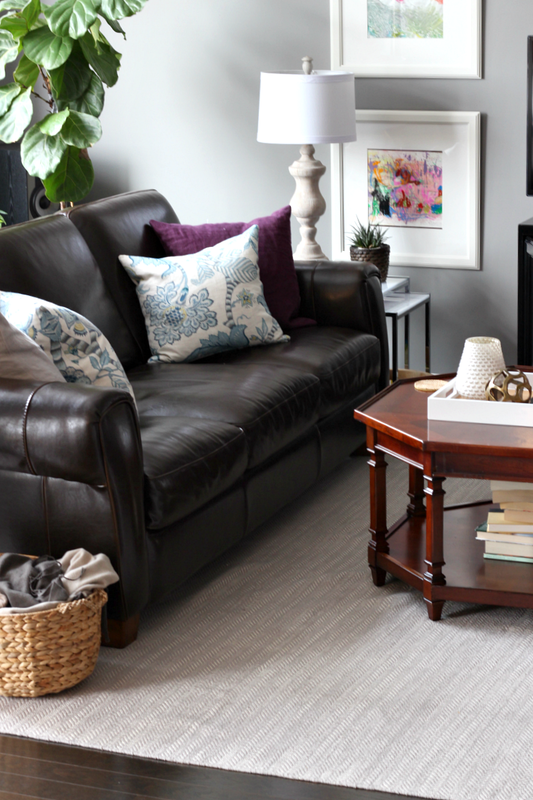 Now I know that I had originally said that I was going to go with a blue rug, but in the end, my love for grey won. So now we are waiting to find a credenza (still hoping to nab a fantastic mid-century modern one) and coffee table. I keep going back and forth between a tufted ottoman and a wood coffee table. I just love putting my feet up while watching tv, so I'm leaning towards tufted ottoman. Perhaps something like this, or this. BUT! I could always go with a wood coffee table and then order a Moroccan pouf, like this, right?! We shall see! 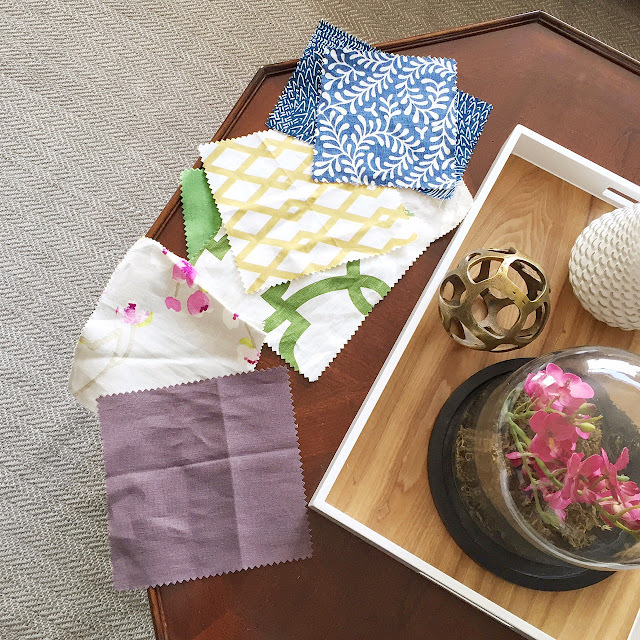 As you can see in the last photos, there are a slew of fabric swatches from Tonic Living. I'm trying to narrow down the colour-way and keep bouncing between two. My love for pink & grey is still strong, so you may see that combo in here in some way...... I'd love to add some lumbar pillows to the chairs and I'm undecided if I should keep the blue floral pillows. So once I have the new credenza and ottoman in place, I think it will be much easier to make a final decision. Good news is that there's progress and we are getting there! Wayfair.ca kindly provided me with a gift card, which I chose to put towards the purchase of the new rug. All opinions are my own and weren't influenced in any which way. Nice color. And it comes so cheap. I love the pattern.